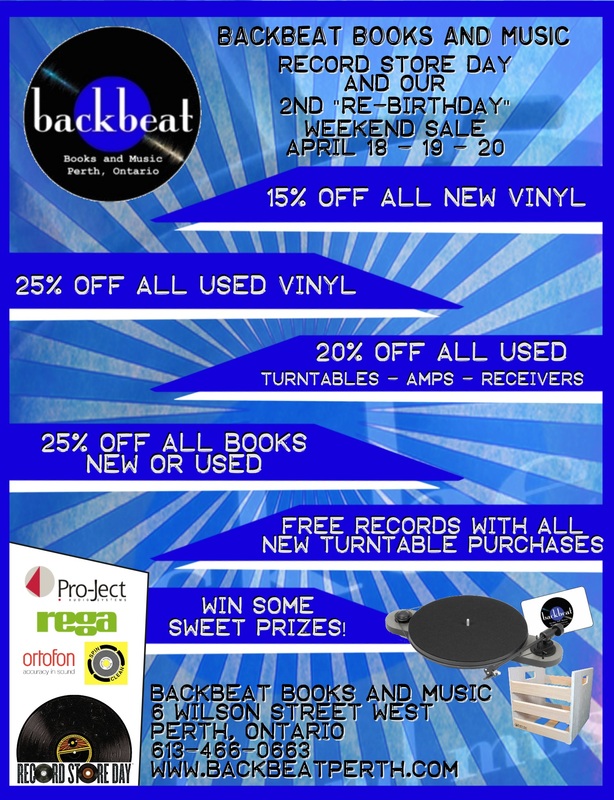 Here it is folks, all the details on our Record Store Day and 2nd “Re-Birthday” weekend sale. April 18-19-20, 2015. First we want to thank you so much for an amazing first 2 years of our family running Backbeat. You have blown us away with your support, your fantastic taste in literature and your appreciation of great music. Record Store Day and our anniversary compliment each other, as Record Store Day puts it “This is a day for the people who make up the world of the record store – the staff, the customers, and the artists – to come together and celebrate the unique culture of a record store and the special role these independently owned stores play in their communities.” Did you know Perth is the smallest town in Canada to have a record store that participates in Record Store Day? We think that’s pretty cool that a town of 6000 can support a small shop like ours. Thanks again for all your patronage the past couple years and we look forward to hanging out with all of you for a long time. On to the details of the sale. – All new vinyl 15% off unless already discounted further. – This discount includes all Record Store Day releases! – 20% off all used turntables, amplifiers and speakers. – Free records with every new turntable purchased. See in store for details. All sale prices exclude special orders, local author / musician products on consignment and are limited to on-hand inventory. That’s the only catch! 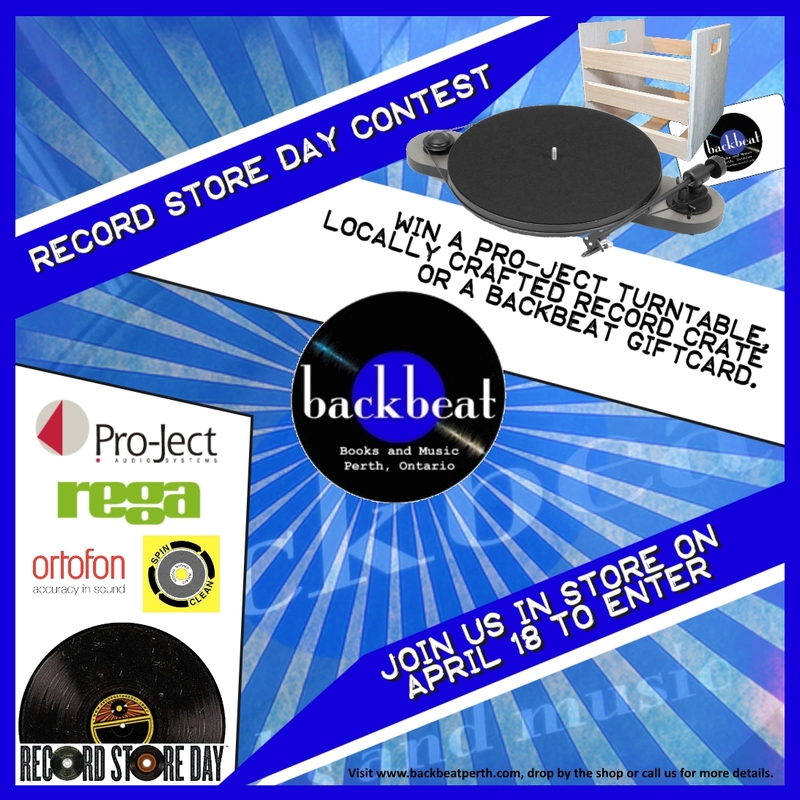 Also, don’t forget when you are here on April 18th enter to win win a Pro-Ject Elemental Turntable ($274.95), a record crate from Flook D. Doo ($64.95), or a $25.00 Backbeat gift card! Previous Post Authors for Indies…coming soon!